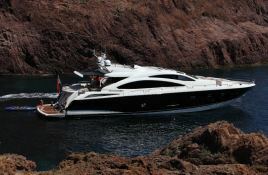 Alvium is a beautiful Sunseeker 84’ Predator, which is elegant, sporty and powerful. 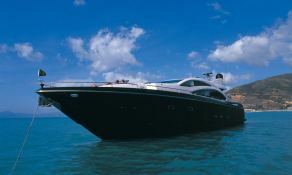 She is the ideal yacht for a rental in the Balearic Islands. 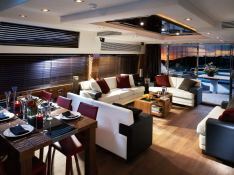 In addition Alvium has a comfortable lounge with a spacious entertainment area and an elegant dining room. 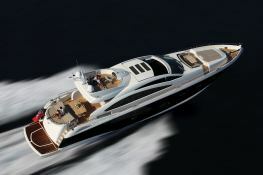 Powered by two 2500 HP engines, Alvium is capable of reaching a cruising speed of 27 knots and can spike to 35 knots. 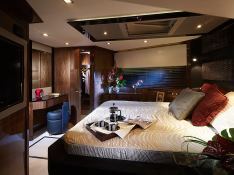 The berth is included in Marina Ibiza. 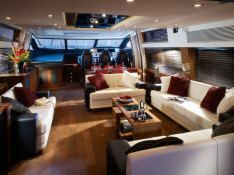 This Alvium is available for yacht charter with a base price of 47 600 € (approximatly 53 681 $).